I love cookouts! They are often informal and the food is nearly always delicious! We enjoy hosting them a lot in the summer. We grill hotdogs or hamburgers or chicken or steaks and eat on the deck - drinking in the beautiful weather, enjoying the food, and sharing conversation and laughter. 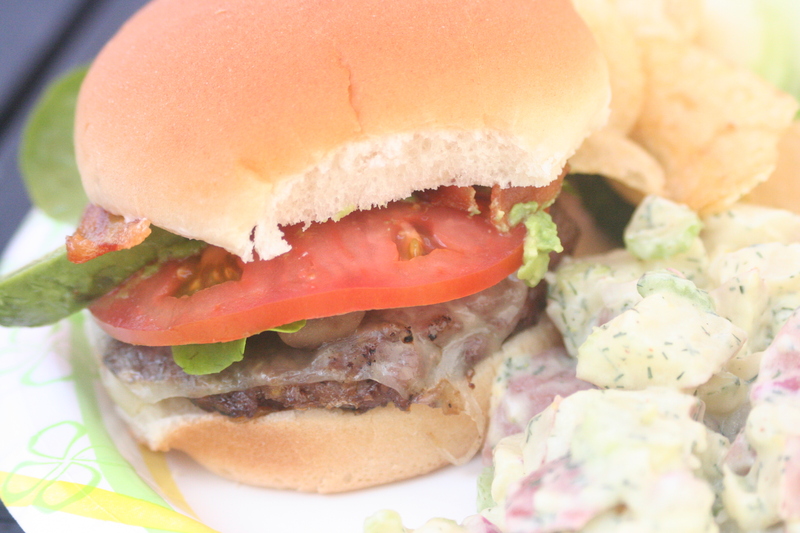 Since we are headed into the summer season and have a holiday weekend before us, it's the perfect time to share a burger and a potato salad recipe. There are so many variations of these American classics and I usually keep mine pretty basic. Combine all ingredients. Shape into 4-6 patties. I make mine fairly thin and push down in the center to help prevent the burger from shrinking too much. Grill to desired doneness. Melt cheese on each patty and serve on a bun with toppings. 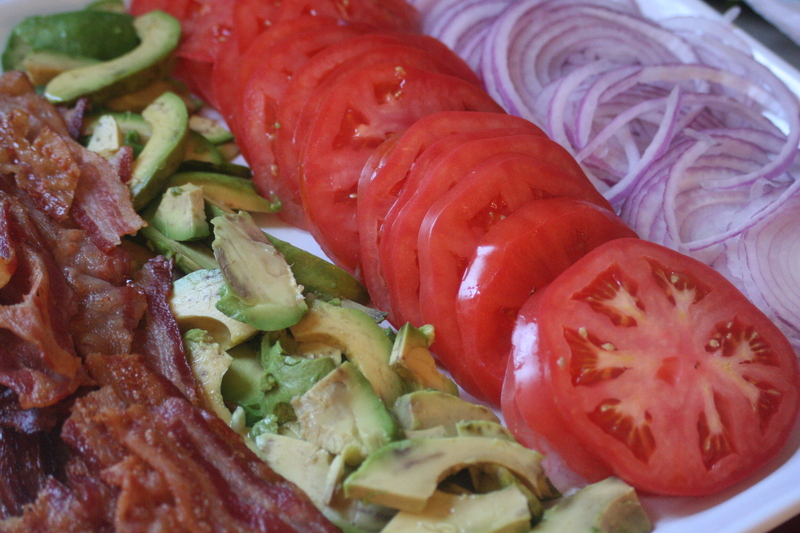 (We like bacon, avacado, tomato, lettuce, onions, and sauteeed mushrooms.) Enjoy! Place the diced potates in a pot with cold water. Boil until just tender. Drain and allow to cool. Add celery and red onion, salt & pepper to potatoes. In a separate bowl, mix mayo, yogurt, dill, milk and mustards. Pour dressing over potatoes and carefully stir to combine. Refrigerate until serving - at least an hour to allow flavors to develop. This serves a lot. Yum! I love putting a fried egg on my hamburger - stolen idea from Red Robin. 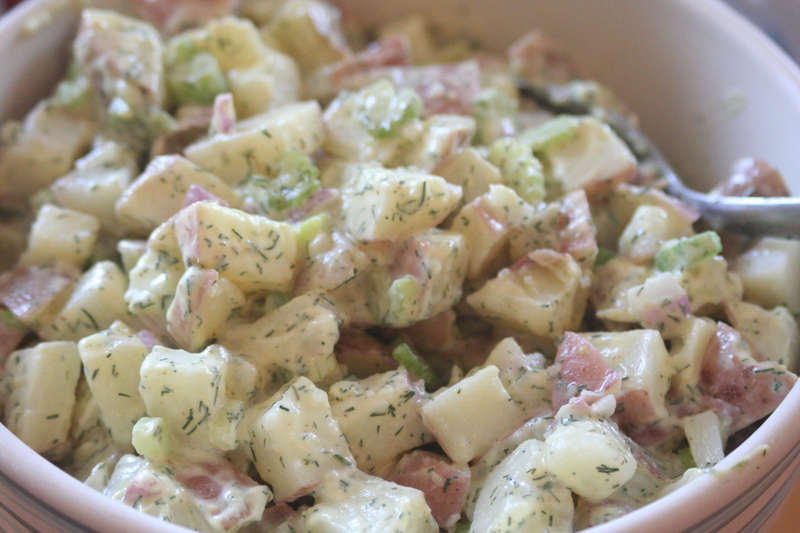 Also, putting cooked bacon bits and hard boiled eggs in potato salad adds some yummy flavor, but it takes more time. Thanks for sharing!